EGJHS Teachers Our Newest Immediate Responders! The Tanque Verde Unified School District (TVUSD) and TVUSD Governing Board have made it a priority to focus on emergency response planning, preparedness and training in all of their schools. They are working closely with local first responders, public safety organizations, and community outreach groups in an effort to provide additional resources and training to staff, students and the greater school community. 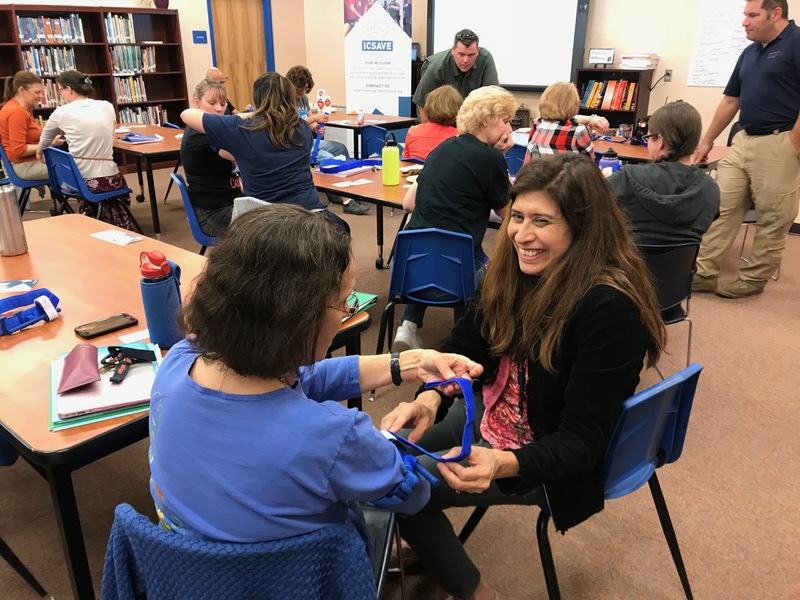 One of their community partners, Integrated Community Solutions to Active Violence Events (ICSAVE), is providing Bleeding Control Training to all TVUSD teachers and staff members. The second of these educational sessions took place at Emily Gray Junior High School and now our community has 30 more trained and certified immediate responders among our ranks! On Wednesday, March 14th, these exceptional educators completed the necessary educational requirements to obtain American College of Surgeon’s Bleeding Control Certification.